Yay! 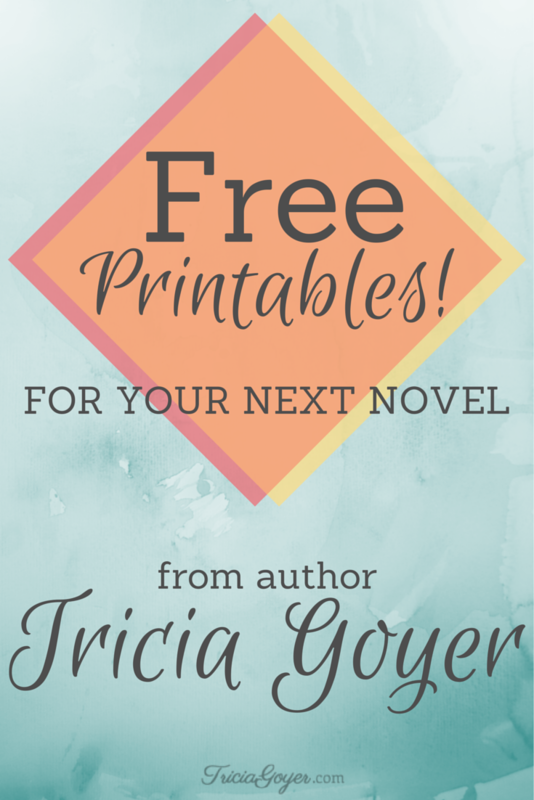 FREE Printables for your next novel, collected by @TriciaGoyer! 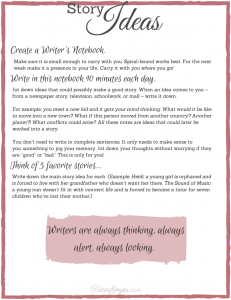 Create a Writer’s Notebook! This worksheet will inspire story seeds and concepts. Click here to download and print. 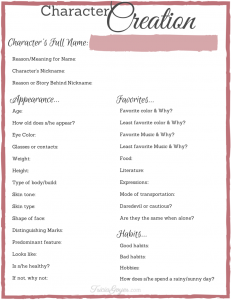 This series of worksheets will help you get to know your character’s personality, what they want, and how they might try to overcome challenges. Click here to download and print. I’m giving away 20 of my books next Friday! Thank you, Tricia! I am printing these for my 16yo daughter, who is ALWAYS writing something! Her dream is to be an author. If she’s not writing, she’s reading … with work and school thrown in there occasionally! lol! Thank you, again! I have book marked this post and I know that I am going to come back to it time and time again. Thanks! I just wanted to say thank you so much for this. I have been trying to figure out a way to organize the chaos in side my head and nothing I found would help. They only served to complicate it further but this was just what I needed. Thank you for making it and letting me use it. You are my newfound hero. Thank you so much for these printables! They’re super helpful. The best worksheets I found! They are very nice organized with and extremely helpful. Thank you!